Temperatures are expected to take a big drop as colder, arctic air invades the entire country over the course of the week. This round of cold air will begin to show up in the Northern Plains and Upper Midwest on Tuesday. The Southeast and the Northeast will begin to feel the same chill by the end of the week and into the weekend. This exceptionally cold air is going to be between five-and-15 degrees colder than normal, and it's not warming up next week, either. 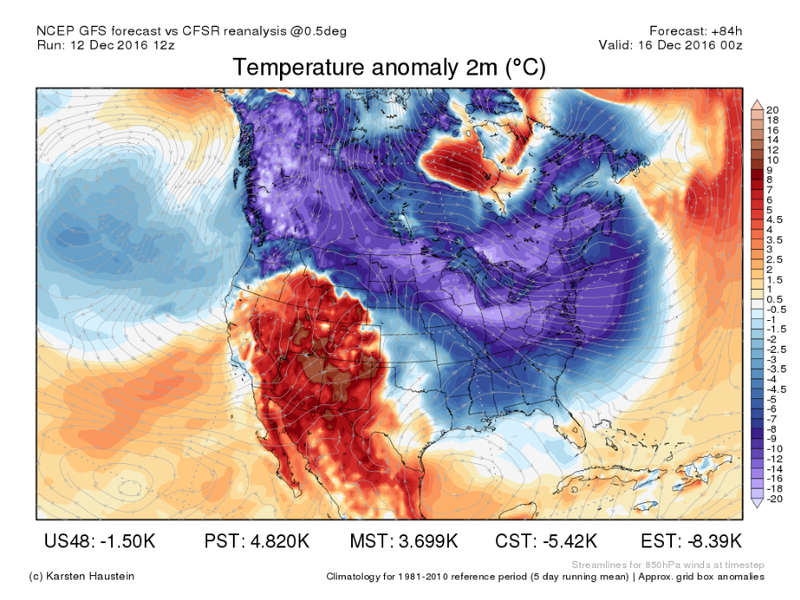 Right now, long-term forecast models are showing another, colder blast of the arctic early next week that's expected to affect everyone in the country. That round of cold air will be between 10-and-20 degrees colder than usual, beginning in the Northwest and Northern Rockies before spreading south and east into the Southwest, Plains and Midwest. 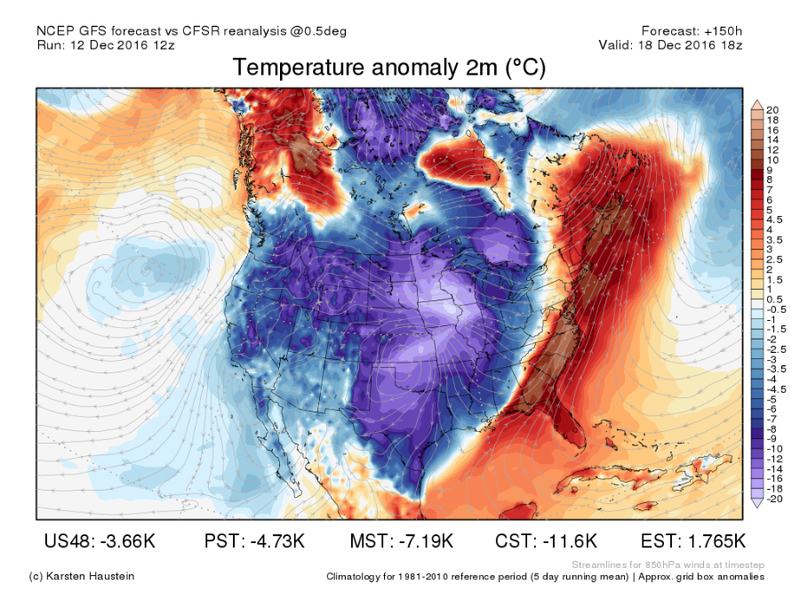 These next two weeks will be dangerously cold for some parts of the country, especially in the Northern Plains and Upper Midwest, where temperatures will struggle to hit double-digits for days or even a week at a time. If you're looking for a warm-up and a chance to stop shivering, those same forecast models are hinting at some slightly warmer weather for most of the country in the days leading up to Christmas.